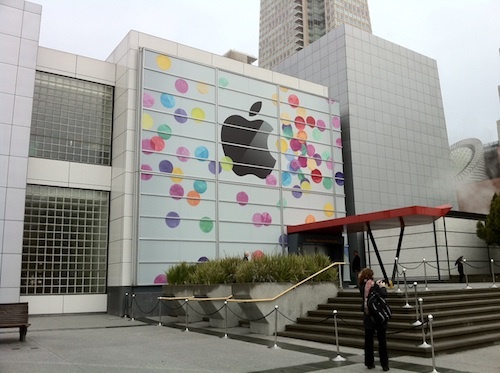 Apple today is holding a media event at the Yerba Buena Center for the Arts in San Francisco, where it is widely expected to introduce the next-generation iPad. The event is scheduled to kick off at 10:00 AM Pacific Time / 1:00 PM Eastern Time, or just about an hour from now. There is still no word on whether Apple will be providing live video as it has for the last several media events, so users should check Apple's site in the lead-up to the event to watch for coverage possibilities. Regardless of Apple's own live coverage plans, a number of news sites will be on hand to provide text and photo updates, and we're including links to several of them here. We will also be updating this article with coverage as the media event unfolds and issuing Twitter updates through our @MacRumorsLive account. Separate news stories regarding the event announcements will go out through our @MacRumors account. - Apple to Launch New 'Social' iOS App Tomorrow? 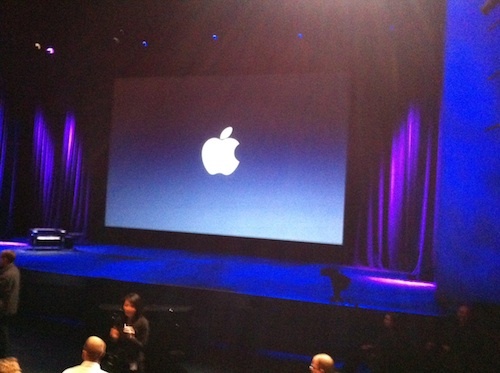 - Apple's Media Event to See Introduction of iPad 2, Cloud-Based MobileMe? 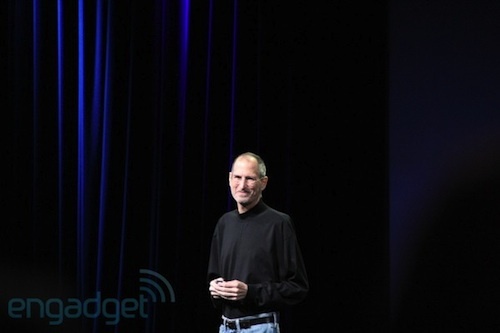 - Steve Jobs to Appear at Tomorrow's Media Event? - Attendees are in the theater and seated. Apple has requested that all electronic devices be silenced. - Steve Jobs on stage to standing ovation. "We have something great to announce today, and I didn't want to miss it." - First, a few updates. - iBooks: Over 100 million books downloaded, and today we're adding Random House with 17,000 books. Now over 2,500 publishers in the iBookstore. - Just crossed 200 million iTunes Store accounts...can be used in three stores: iTunes, App Store, iBookstore. - Over $2 billion paid out to App Store developers. - Recently shipped 100 millionth iPhone. - We're here to talk about our third post-PC blockbuster product. First there was the iPod, then the iPhone, then the iPad. Most of our revenue comes from these products. 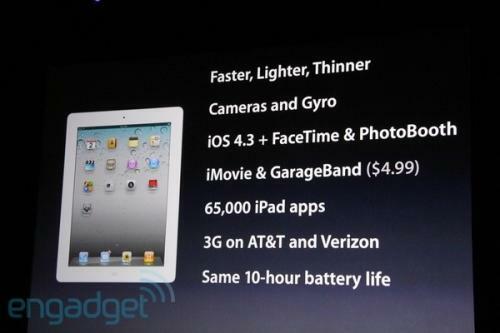 Recapping iPad launch..."magical" product, unbelieveable price. - 2010 was the year of the iPad. Sold almost 15 million of them in just nine months. $9.5 billion in revenue...we've never had a product get off to that fast of a start. Over 90% market share, and competitors flummoxed. - Over 65,000 iPad apps available. Our competitors have at most 100. Our retail stores have been key to the iPad rollout. - Showing a video talking about the success of the iPad...Phil Schiller, Ron Johnson on-screen talking about the phenomenon. Highlighting iPad use in Chicago schools, hospitals, etc. - Jobs back on stage. We'd like to build on the success of 2010. What about 2011...year of the copycats? 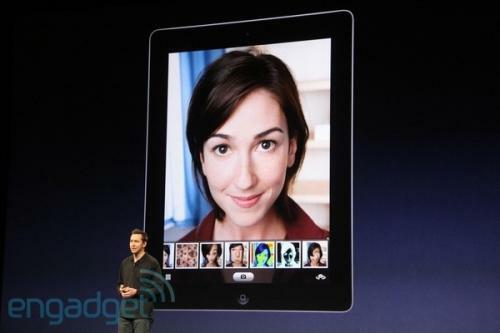 - Today we're introducing iPad 2. All-new design...not tweaked, not marginal improvements. 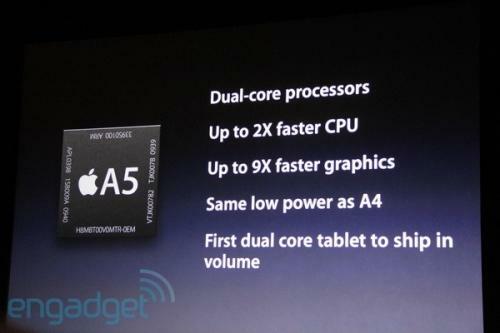 - New chip: The Apple A5. Dual-core, up to 2x faster. Graphics up to 9x faster. Same low power as A4. First dual-core tablet to ship in volume. 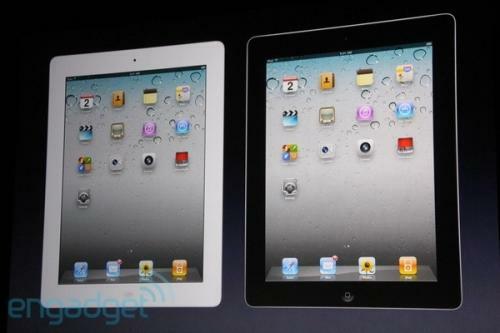 - Front- and rear-facing cameras, built-in gyroscope, 33% thinner than iPad 1. 8.8 mm vs. 13.4 mm. 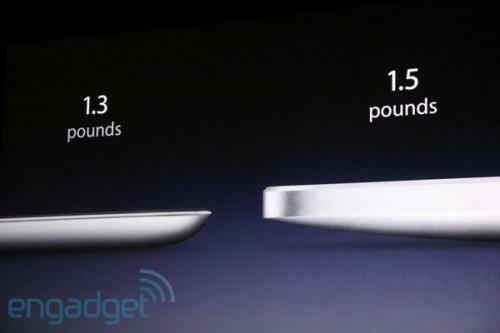 Also lighter...moves from 1.5 lbs to 1.3 lbs. - Two colors: black and white. White is shipping from day one. Models for AT&T and Verizon, available from day one. Same 10-hour battery life. - Same price points, same capacities. Starts at $499, and five of the six models are below competitors' entry-level pricing (Motorola Xoom) of $799. - Ships March 11th in the U.S., 26 more countries on March 25th. - HDMI mirrored video out from dock connector...$39 adapter provides up to 1080p for all apps while allowing charging. - Smart Covers. We did a case for the original iPad, but thought we could do better...it's not a case, but a cover. Bends around and acts as a typing stand. Automatically wakes iPad when opened, sleeps iPad when closed. Magnetic. Polyurethane ($39) or leather ($69) in assorted colors (five of each), easy removal. - Now on to software: iOS 4.3. Scott Forstall on stage to talk about new features and enhancements. - iTunes home sharing...access all music, movies, and TV shows on your home computer from your iOS device, wirelessly over Wi-Fi. - AirPlay improvements: Built-in slideshow options for photos, Third-party apps and websites can now do video and audio. 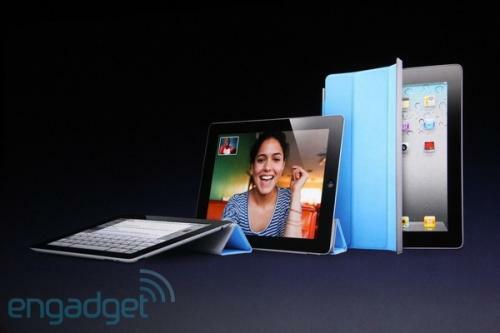 - iPad switch now can be used for mute or rotation. - Personal hotspot: iPhone 4 only...share 3G connection via Wi-Fi to other devices. - Showing video of smart cover. - New software. Since the iPad now has cameras, we've added Photo Booth. 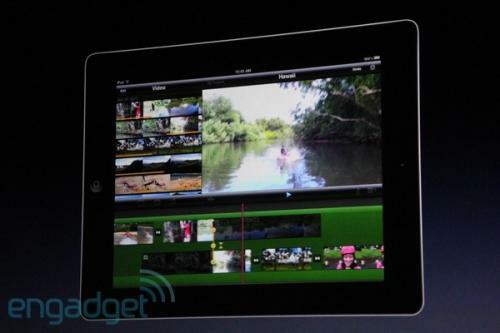 iPad 2 can serve up nine live video streams to preview effects. - FaceTime. Works between two iPads, between iPad and iPhone/iPod touch, and between iPad and Mac. - Demoing iPad FaceTime call. - iOS 4.3 free download on March 11th. - Jobs back on stage with two more apps to show off. We like doing apps because it gives us perspective and can set the bar for other developers. - iMovie for iPad. Precision editor, multitrack audio recording, AirPlay, universal app. - Randy Ubillos on stage to give demo. Much more useful on iPad with larger screen size. Can record directly into timeline from the camera. Full multitouch control. Major audio improvements: Sound effects, three audio tracks plus background, etc. New themes. Sharing to YouTube, Facebook, Vimeo, CNN iReport, iTunes. - $4.99, available in App Store March 11th. 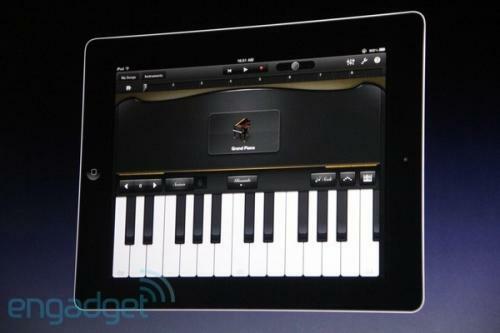 - GarageBand for iPad. Touch instruments, or plug in real instruments, etc. Compatible with Mac version. Xander Soren on stage for demo. Showing off piano...sustain button, dynamic volume response: volume based on how hard you tap, uses accelerometer. - Showing off synth keyboards, drums, guitars. - Recapping iPad 2. We think this is going to be the year of iPad 2. - Jobs back on stage and wrapping up. Once again talking about marrying technology with the humanities. Looking forward to the post-PC era where hardware and software need to intertwine even more. We think we're on the right path and will be competitive. - Thanking the teams that have worked on the projects. - End of presentation...media headed to the hands-on display area.